Maggie Quan, PhD, CCIM has an extensive professional knowledge and experience in all types of commercial property transactions and has worked for both sellers and buyers, landlords and tenants. Maggie is particularly specialized in commercial real estate sales advisory services ($1M-20M) with extensive knowledge in market analysis, due diligence underwriting, commercial loan consulting, land and new construction planning and government relations. Maggie aggressively represents her clients in negotiations and is devoted to protecting their interests and investments. Maggie has worked closely with local, national and international investors and business owners for their real estate acquisition, disposition and new construction needs. Prior to joining TradeMark Properties, Maggie obtained a PhD in Biomedical Engineering from Duke University and led and managed a successful biotech startup for three years. She has applied her knowledge and entrepreneurial spirits to assisting sellers and buyers, landlords and tenants with unparalleled ethics and dedication to details. Maggie is a member of the Durham County Women and Minority Business Enterprise (WMBE) advisory council since 2016. Maggie’s other professional affiliations include the Certified Commercial Investment Member (CCIM), and the Triangle Commercial Association of REALTORS® (TCAR). Originally from China, Maggie has lived in the Triangle area for more than ten years. Maggie is devoted to community affairs and culture diversity. 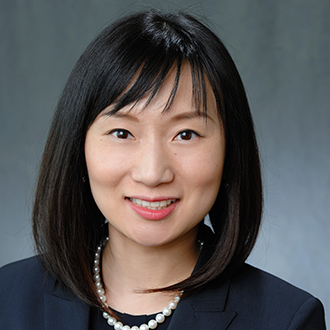 She is an active volunteer and organizer in a variety of cultural and business associations including Carolinas Chinese Chamber of Commerce (CCCC), VP of operations in North Carolina Chinese Business Associations (NCCBA) and Asian Focus.